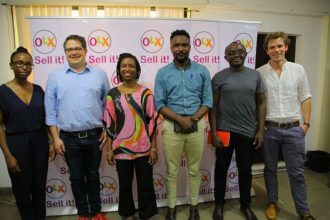 OLX, the leading online classified is putting their money where their mouth is by equipping young graduates with entrepreneurial skills In a recent interview with Femi Oriowo, a business developer and an avid OLX user, he described how he was able to get his current job by using the platform and has been able to sell over 500 phones and electronics on the platform. How long have you been using OLX? OLX has been more than that, Earlier this year, I met someone who bought a laptop from me, we later became friends and now I am the Business Developer Manager in his company, the opportunities with OLX are endless. Can you please tell us some of the things you have learned from doing business on OLX? Engage in Customer Care/Support besides the fact that I get to hone my negotiation skills hence becoming a better business person. With OLX, we can see that you have acquired several entrepreneurial skills which should help in your role as a Bus. Dev Manager, what advice do you have to the unemployed youths? OLX, like every other online marketplace has had its share of invasion from unscrupulous elements called scammers; but with the safety measures recently being implemented by the management of OLX such as physical verification etc. scamming on OLX is sure to become a thing of the past.